Visit the fascinating museums and historic attraction Hull has to offer. You can climb aboard an Arctic Trawler, experience 200 years of transport history and 235 million years of the East Riding, learn more about Hull’s long and distinguished maritime history and join in the fight against slavery in the wake of William Wilberforce. Please note dates and times when museums are open can vary throughout the year so we recommend you check before setting off. There are links below to each museum which provides this information. For a free audio guide to the history behind Hull and it’s museums, download our Hull Heritage Walk. Enter a world where 235 million years of history is brought to life. From this majestic mammoth to Saxon invaders, walk through an Iron Age village, enter a Roman bath house and look at the stunning mosaics. Discover the 4000 year old Dugout Canoe found on the banks of the Humber. You can look forward to an experience that is unique, educational and fun. The Ferens Art Gallery is Hull’s premier art collection. Known for its collections of 17th Century Dutch masterpieces and maritime art, the Ferens houses everything from Medieval portraits to early Modernist sculpture, as well as continuously changing displays of contemporary art and touring exhibitions. The gallery recently underwent a significant refurbishment, opening back up to the public in February 2017. The Ferens will proudly host the Turner Prize exhibition and award ceremony in late 2017. Come and discover Hull’s maritime heritage. The museum is housed in the Victorian Dock Offices in Queen Victoria Square. These nautical themed offices were designed by Christopher G Wray and originally opened in 1871. Now they display Hull’s maritime activities from the late 18th century to present. Discover the whalers craft of Scrimshaw and see a full-sized whale skeleton, alongside superb ship models and stunning artefacts from Hull’s whaling, fishing and merchant trade. Admission is free. You’ll hear all about life at sea and the dangers deep sea trawlermen faced in the Icelandic, and Arctic fishing grounds. Our free guided tours are the only way to see inside the Arctic Corsair and you do not need to book. Before each tour starts you can watch a short action film – Life at Sea – in the Arctic Corsair visitor centre (sign posted next to the Hull and East Riding Museum). Please note there is restricted access to the ship due to its narrow passageways and tight stairs. The Spurn Lightship guided ships safely through the treacherous River Humber for almost 50 years. Discover how it was used as a navigational aid and find out what life was like on board. An interpretation panel at the Marina explains the ship and its history when the ship is closed. Opening times are limited, please check below for details. Admission is free. Enter the Streetlife Museum of Transport and enjoy all the sights, sounds and smells of the past. Experience 200 years of transport history as you walk down a 1940 high street, board a municipal tram and enjoy the smells and sounds of the stable as you step from the Hull-York Mail Coach ride. See our 1900 Motor Show, with rare veteran motor cars dating from 1897. Stroll through a busy street of shops from the 1930’s & 40’s. There is a cycle shop, chemist shop, a toy shop, a Hull Co-operative shop and much much more . Walk around the 1930s goods shed and the Cottingham North signal box, transported here brick-by-brick from its original location. Explores the history and development of the bicycle and its links to Hull, including a Hobby Horse from 1818. The permanent displays at Wilberforce House include journals and items that belonged to William Wilberforce, including original costume. There are many significant items linked to slavery and the campaign to abolish it. This pair of Georgian Houses were built in 1756 for the tar merchant James Hamilton. They are unusual in that they are handed similar to a modern semi-detached house which went very much against Georgian convention. There are very few examples of this layout from the Georgian Period in the country. The 2 houses have now been combined in to a museum with rooms displaying costume, fire-arms, with displays of Hull silver from the 17th century and clocks made in Hull and the East Riding. Like all of the council’s museums, it’s free and well worth a visit. You can access the Georgian Houses through Wilberforce House next door. Opening times and other information is available via Wilberforce House above. Hull’s only National Trust property. It was built in 1775 for Henry Maister, a wealthy local merchant. Although quite austere on the outside the inside reveals a magnificent Palladian staircase with delicate wrought-iron balustrade to the stairs and gallery with ornate plasterwork and is really worth a look. The House was presented to the National Trust in 1966. From 1822, the house was let for use as offices, and it still is today! However, the hall and staircase are open to the public. So feel free to ring the door bell and the occupants will be pleased to let you in to view the public areas. Admission is free. The Hands on History Museum, in the old Grammar School where William Wilberforce and Andrew Marvel studied, houses the story of Hull and its people. It includes a fascinating glimpse into Victorian times, the Story of Hull and also features the Egyptian Gallery. This gallery is home to a genuine 2,600 year old mummy and unique replicas of King Tutankhamen’s treasures. Opening times are very limited as the museum has largely reverted to its original use as an education facility for local children, so please check opening times before setting off. Highlights include a Tyrannosaurus rex skull, Triceratops bones you can touch and our unique Dinosaur Sound Box. 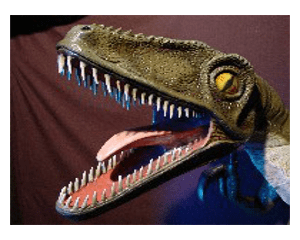 Dinostar is Yorkshire’s only dinosaur visitor attraction, it,s on Humber Street in Hull’s new Arts Quarter. It is close to The Deep and Hull Marina, in the Fruit Market area of Hull’s Old Town. Dinosaurs you can see, touch, hear and even smell! Hull’s own natural history museum. This Museum takes the form of a museum and a shop on Whitefriargate, it is run by a very enthusiastic group of volunteers who give their time to raise funds to build a memorial to the citizens of Hull who lost their lives in the Two World Wars.